Crostata, Galette, Free form pie, you all know my idilic love with this pastry goodness. 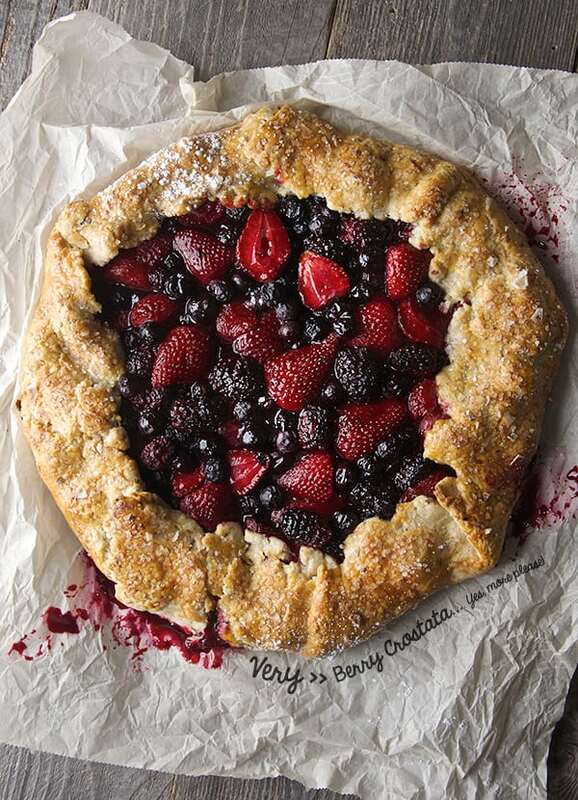 Four ingredients for the crust, berries and sugar, never haved tasted so good. Talk about simplicity and mayor goodness. I think I have already 4 crostata recipes on this blog, and I did not even hesitate to add a new variation. 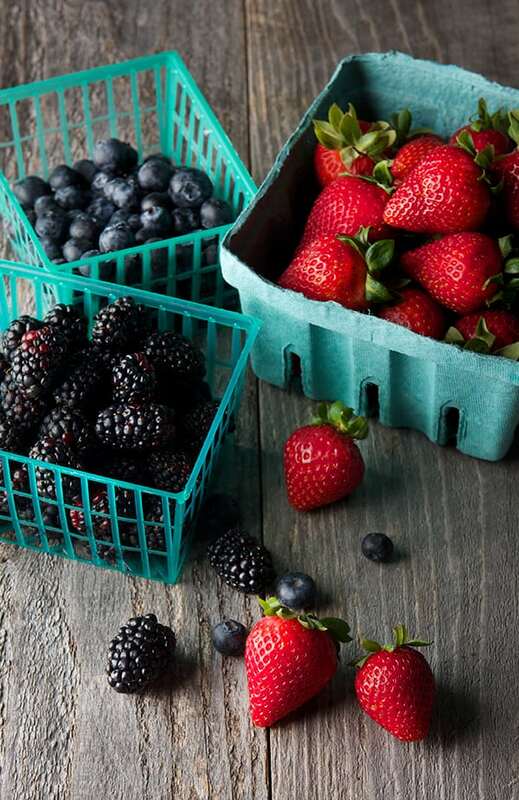 My advice, avoid wasting your time thinking what to do or bake to celebrate this weekend, if you have 15 minutes to spare to make a crust in the morning, 15 minutes to roll and prep,and 45 minutes to careless baking while you relax zipping an ice tea, these berry beauty is all you need for a great Summer afternoon. 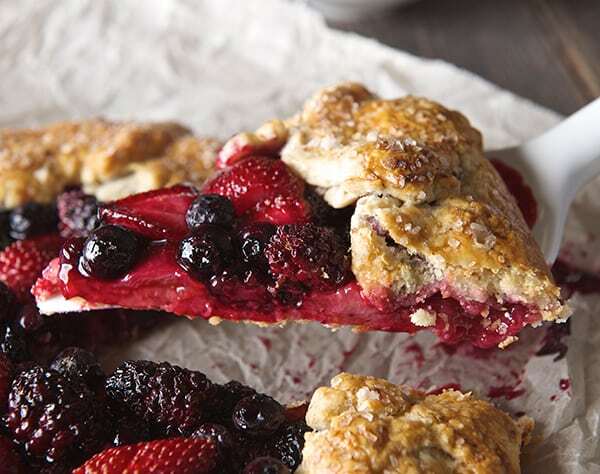 I only know, that for this Summer this is all what I want, a slice of this berry crostata slightly warm, with a scoop of vanilla bean ice-cream or a dollop of whipped cream, an ice tea on the side, and sparkling objects on the sky to celebrate the 4th, 5th, 6th…or 28th of July…Enjoy! 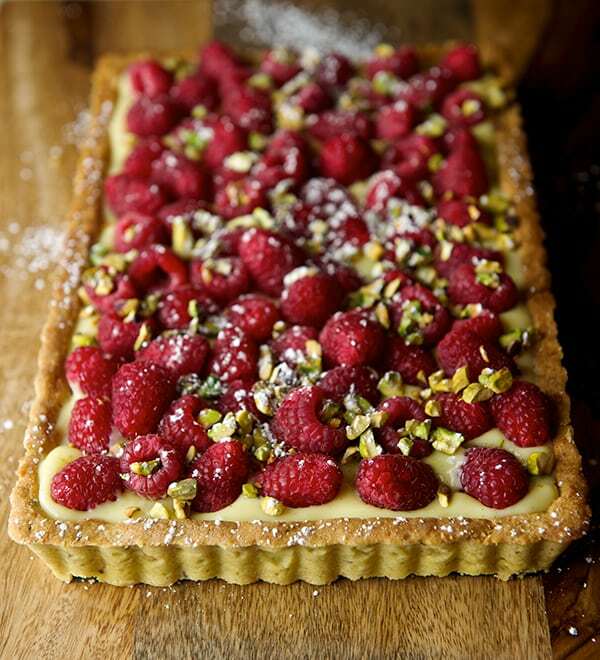 I know you might be asking why Raspberries in September?…. I have no Idea! Usually berry season is from June to mid August… I was planning to get some stone fruit… and what grabbed me were these ruby-red fruits. 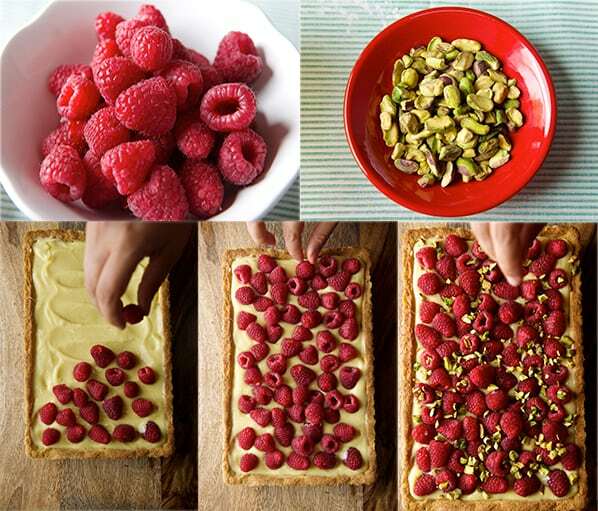 I guess this will be the last post to say good-bye to the summer and what a better farewell that a Raspberry Pistachio Tart. Here in Texas its still warm and we are on the high of 90F… but we are finally starting to experience some weather changes. ½ cup of nutella warmed up. ¼ cup Extra toasted pistachios and powder sugar to dust. ½ Vanilla Bean paste or Vanilla Bean pods. 2 tablespoons of unsalted cold butter cut into small squares. In a small sauce pan , combine the milk, ¼ cup of sugar , and pinch of salt. Cook until the mixture became to a simmer or small bubbles form around the edge of the pan. Set a side do not let it come to a boil. In a separate bowl, whisk the egg yolks, ¼ sugar and cornstarch until well combined. Slowly and while whisking at all times temper the egg yolks by adding about 1/3 cup of the hot milk-mixture, once incorporated continue adding the rest of the hot milk. Once is all incorporated, Pour mixture back in the sauce pan and cook on medium heat for about 8-10 more minutes, whisking constantly until starts to thicken. 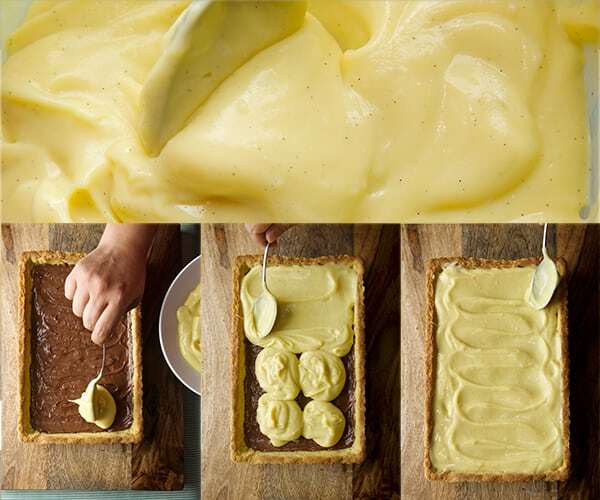 With a cooking thermometer, make sure the pastry cream riches 160 F.
Transfer to a bowl and keep whisking to cool down the mixture and start adding the cold butter one square at a time. Whisking for about 5- 8 minutes until the pastry cream cools down. Cover the bowl with plastic wrap making sure the plastic touches the pastry cream, this will ensure the formation of a skin. Refrigerate until well chilled at least 2-4 hours. Works best to chill overnight. When ready to use, just whisk thoroughly by hand to smooth consistency. In a large bowl combine the butter and powder sugar until well combined and creamy. (you can use a hand mixer, an electric mixer fitted with the paddle attachment, or a wood spoon and your strong-arm!). Add egg yolks and almond extract mix for about a minute until well incorporated. (Scrape the side of the bowl to get everything evenly combined) Start adding the flour 1/3 at the time. Mix gently, add the ground pistachios, salt, and cream. Mix just enough until all the flour is incorporated maybe 1 minute or less. 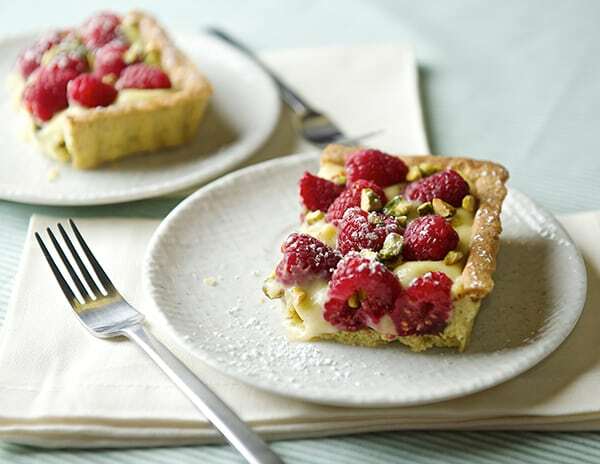 The less you mix the more tender the crumb in your tart. 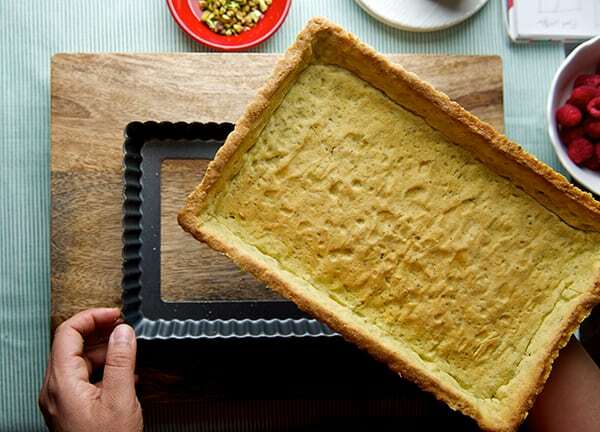 Place all the dough onto a piece of plastic wrap, flatten to form a 1 inch tick block the shape of your tart mold round, square or rectangular, this step will help you later on when is time to roll the dough. Wrap tight, and refrigerate at least 1 hour, is better over time. Lightly flour your work surface, roll out the dough to about ¼- inch thickness. And fit it carefully into your pan. Use your fingers to slightly press the dough into the edges and with a paring knife cut the edges. ( see picture below). 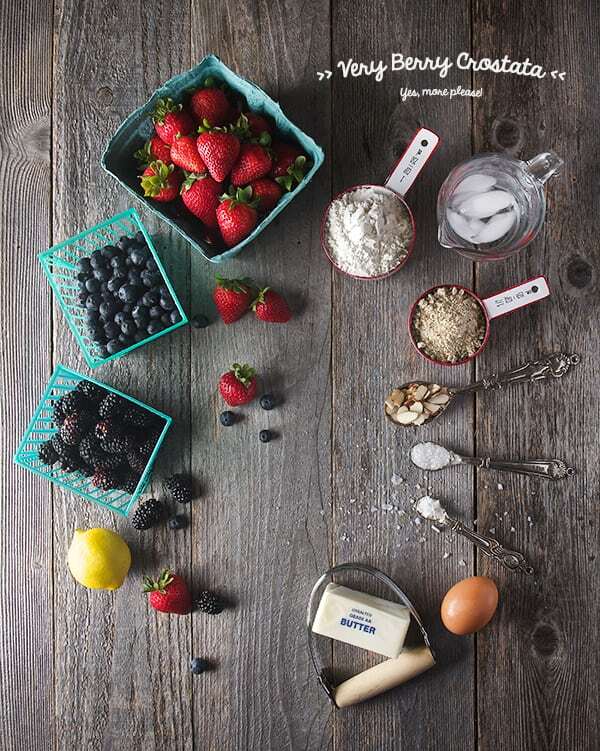 Line the tart dough with a piece of parchment paper and pie weights* to bake and Place the pan into a baking sheet pan lined with parchment paper. Bake for about 15 minutes. Remove the paper and the pie weights and bake for about 8-10 more minutes or until golden brown. If the edges are getting to toasty cover them with foil and keep baking until the center is golden brown. 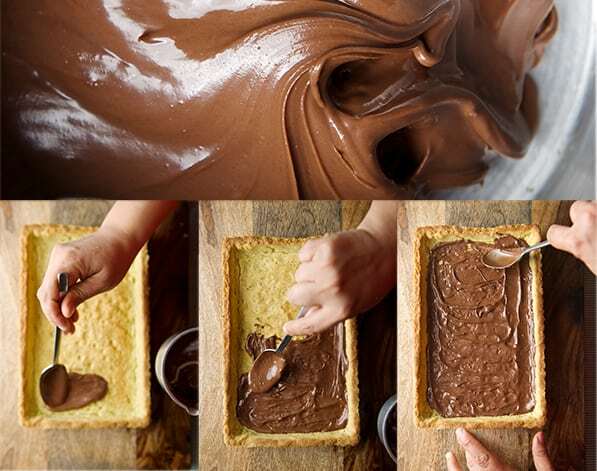 Evenly spread the warm Nutella into the bottom of the tart shell. Spoon the pastry cream and spread in an even layer. 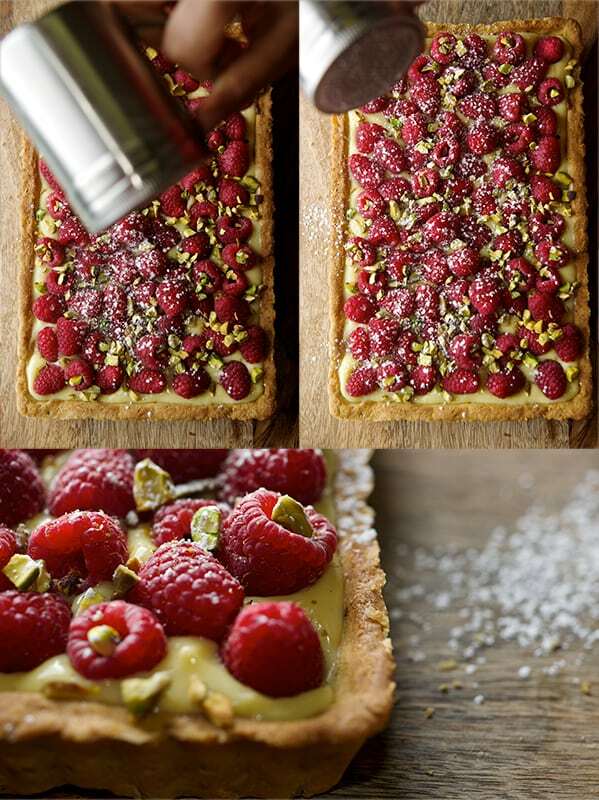 Top and garnish with fresh raspberries, pistachios and dust with powder sugar. Refrigerate for 1 hour. Serve cold enjoy! I used a 12 “x 16” rectangular pan with a removable bottom it makes the un-molding so easy. Pastry cream: you can add lemon or orange zest. 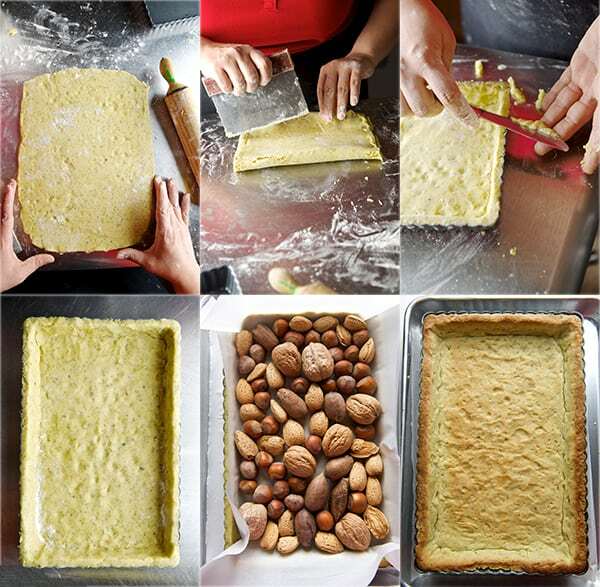 For the crust: You can interchange any nut you like, or omit it and replace the 3 ½ cup of nuts for flour. For the spread: If you don’t like Nutella (I believe there’s nobody on the face of earth that does not likes it) replace with melted chocolate of your preference, dark or milk . Replace Butter for 2/3 cup of earth balance spread or vegan margarine. Replace heavy cream with almond milk or coconut butter. 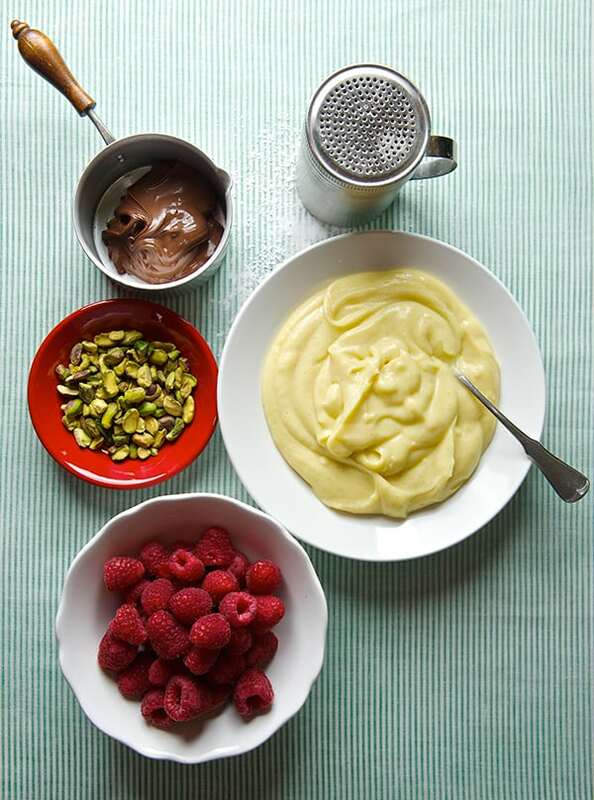 Replace pastry cream for soybean yogurt adding vanilla paste and some agave nectar. Replace the Nutella, for melted vegan chocolate.